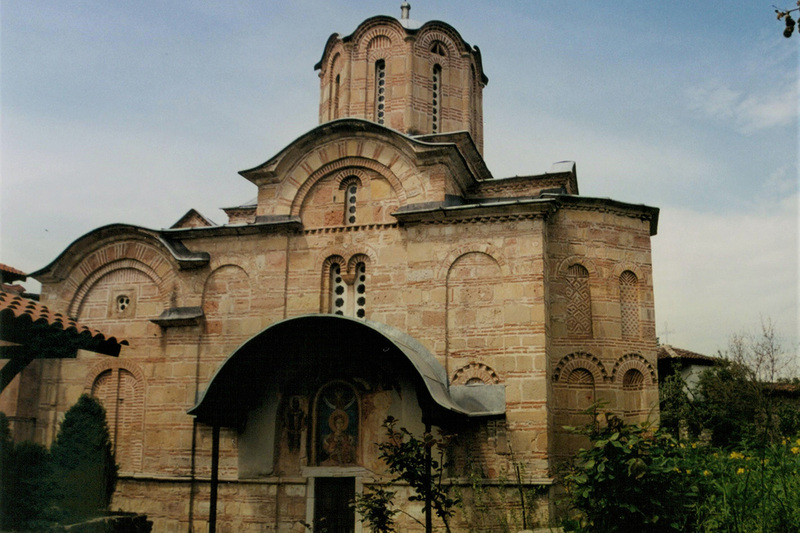 Church of St. George is one of the biggest aisleless churches in Republic of Macedonia that reveals the secret of the great Byzantium and the noble family of Komnenos. The church is built in the 12th century and it is located 2km from the small village of Kurbinovo in the beautiful Prespa region. It is proclaimed as “monument of culture” protected by the law. There are many publications about this masterpiece regarding the Byzantine Art, especially about the fresco painting. Lengthened bodies and absence of expression on the faces as well as the clothing which is used to express the emotional life of the figures, are the most important remarkable features that make this church unique. The famous “Angel of Kurbinovo” presented in the scene of the Annunciation to the Blessed Virgin Mary is the symbol of this impressive church and of the most beautiful creations of medieval fresco painting in Macedonia. Church of St. John Theologian Kaneo is built during the 13th century. Standing alone on a cliff overlooking the Lake of Ohrid, above the fishing settlement of Kaneo, it is one of the landmarks of the old town of Ohrid and a favorite symbol of the entire city. The architecture is a combination of Byzantine and Armenian elements. 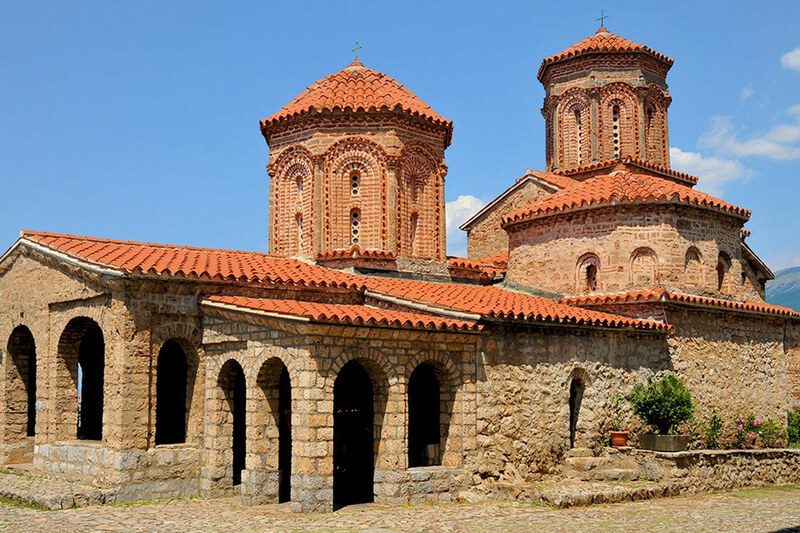 The very impressive and the magnificent and masterly done decoration of bricks and tuff bricks, make this church one of the most recognizable medieval monuments not only in Ohrid, but also worldwide. Today, many visitors are coming to light a candle and pray for their beloved ones, to get married in this small church devoted to St John Theologian and to enjoy the scenic area that will fill your soul and leave you without word. Kalishta Monstery is located on the shores of the Ohrid Lake in a natural rocky environment. It is a monastic complex that consists of four churches, two dedicated to the Nativity of Holy Mother of God, one dedicated to the apostles Sts Peter and Paul and the last one, a cave church, dedicated to St. Athanasius the Great. One of the churches devoted to the Nativity of Holy Mother of God is a cave church and it is a symbol of the monastery as well as for the particular lifestyle known as asceticism and characterized by abstinence of physical pleasures and time spent in fasting and pursuing spiritual goals. The cave church is built in the 14th century and is authentic and preserved with no restoration. There are three monk cells placed within the rock in which the church is built. Another symbol of the complex in the unique wonder making icon of the Mother of God painted with black face and clothing and holding in her hands the Black Jesus, exposed in the church devoted to the Nativity of Holy Mother of God which was rebuilt in 1977. This type of icon painting is really rare. In Europe there are around 450 icons known as “Black Madonna”, a fact that puts an accent on the importance of this monastic complex. 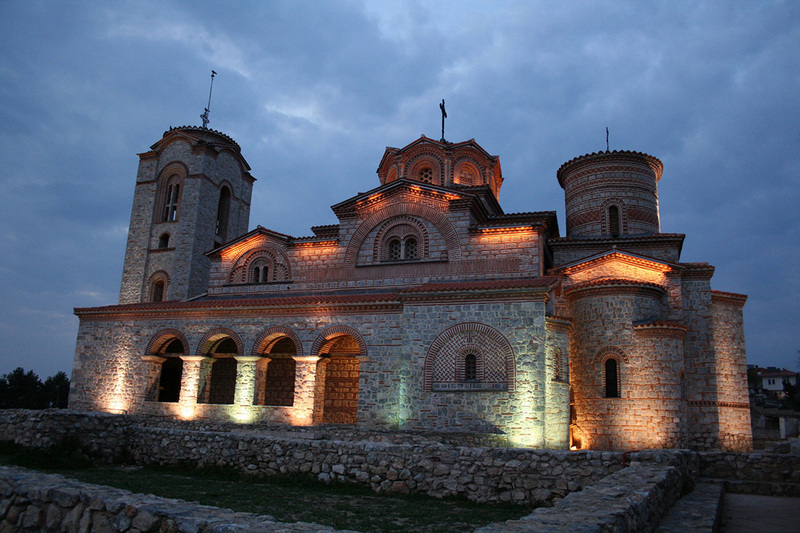 Marko Monastery is located in the village of Markova Sushica, 20km from the city of Skopje. The construction of this medieval monastery begun in 1345, It was renovated by King Volkashin and the fresco painting was performed under the rule of his son, King Marko, between the year of 1366 and 1371. During the period of the Ottoman rule, the monastery suffered almost no damage and there were 20 monks responsible for keeping its Christian spirit. The church inside the monastic complex is dedicated to St Demetrius. Marko’s Monastery was one of the most important cultural, educational and literary centers in the past. The books from the library were literally looted. In current times, there are manuscripts originating from this monastery in the State Historical Museum in Moscow, Vienna National Library, The Croatian Academy for science and arts, The Serbian Academy for science and arts, Belgrade Library and the State Library in Sofia. Today, there are three nuns who are maintaining the monastery. 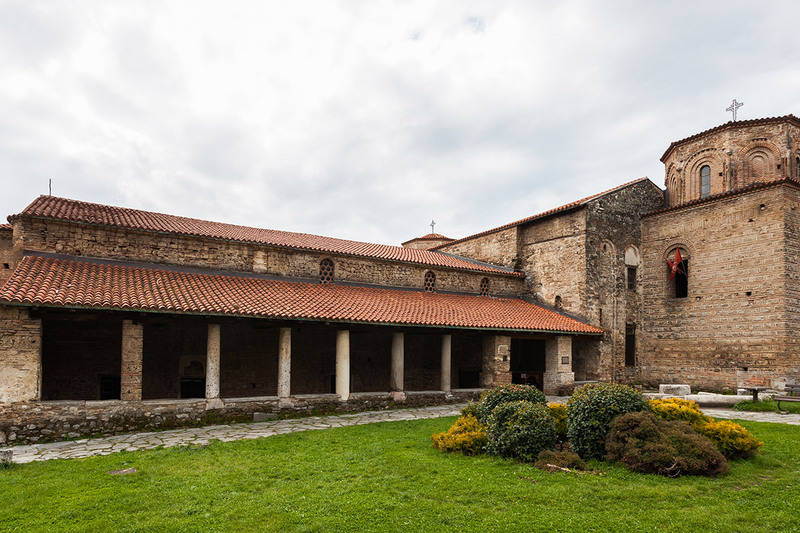 They are open for the visitors, welcoming and ready to discover the history of this holy place with great pleasure as well as their incredible craft exposed in the small museum inside the monastic complex. Osogovo Monastery is located near the city of Kriva Palanka, in the northeastern part of Republic of Macedonia, 10km from the Bulgarian border on Osogovo Mountain. The monastery was founded in the 12th century, but without any remains left of it today. It consists of two churches. The smaller one is dedicated to the Holy Mother of God and it was built in the 14th century. The larger one which represents a masterpiece regarding its architecture with 12 domes symbolizing the twelve apostles was built in the 19th century. Its construction is due to the invaluable skills of Andrej Damjanov, an architect considered as one of the most eminent master builders on the Balkan Peninsula. The church is dedicated to St Joachim Osogovski, a hermit, and the fresco painting typical for the 19th century was made by the renowned Macedonian painter - Dimitar Andonov Papradishki. The restoration of ten centuries old tradition of the monastery as a cultural, educational and spiritual center was marked in 1987 through the establishment of the International Art Colony “St. Joachim Osogovski”. On an altitude of 825m above the sea level and surrounded by the picturesque landscape of the oak forest, St Joachim Osogovski Monastery is becoming one of the most interesting tourist attractions in the country. 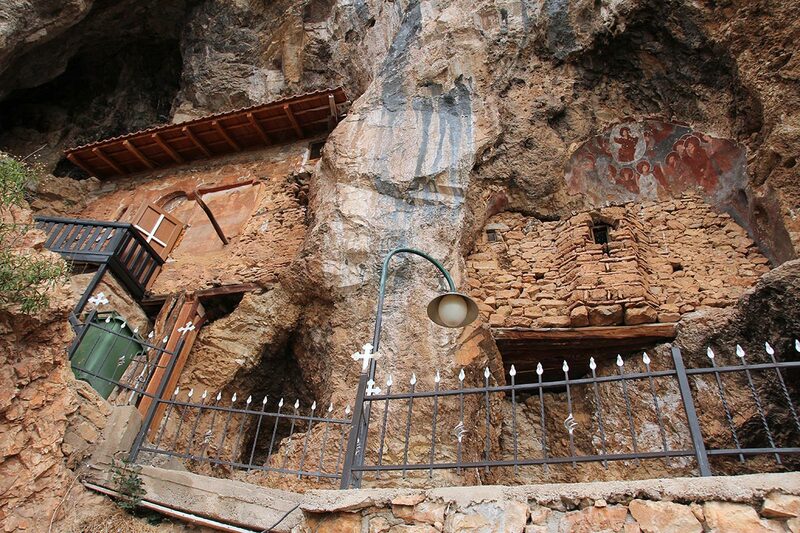 St. Archangel Michael is a small cave church built in a natural cave in the 13th century. It is located in a small orthodox village named Radozda, 10km from the city of Struga. The church is dedicated to St. Archangel Michael and most of the fresco painting dates from the 14thcentury. The frescos are the last accomplishment of the Ohrid Fine Art School from the same century. 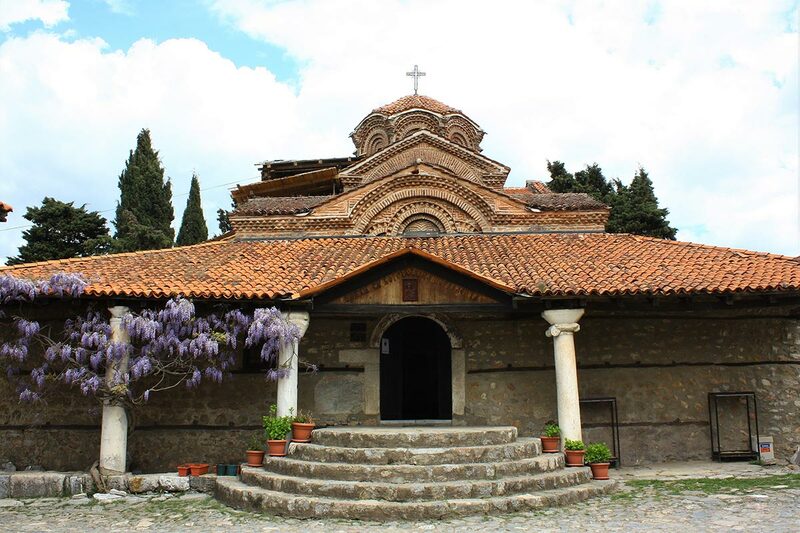 This small and impressive church is a perfect opportunity to visit this small piece of heaven on the Earth, located by the waters of the Ohrid Lake where the welcoming local people are offering the most delicious fish specialties, especially the eel. 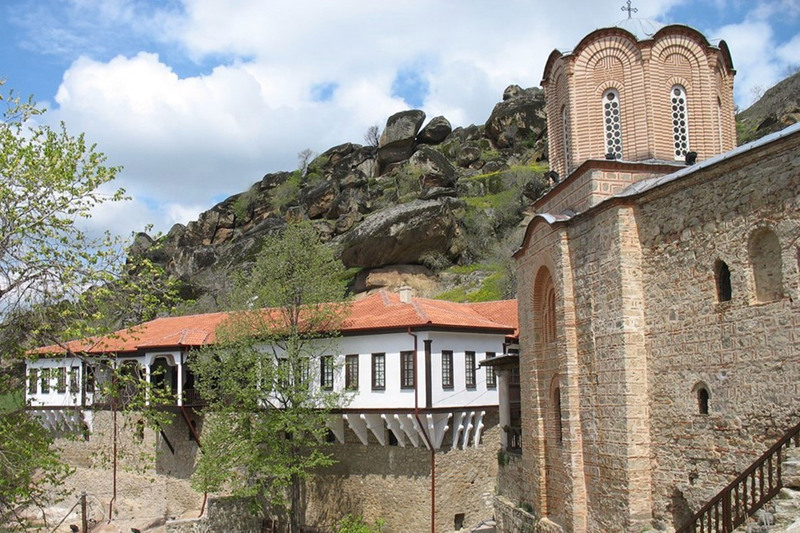 St. Archangel Michael Monastery is located in the oldest settlement in the city of Prilep, called “Varosh”, in the foot of the “Marko’s Towers”, archaeological locality that was proclaimed to be a Monument of nature in 2006. The monastery is among the best religious orthodox centers in the country and it is proclaimed to be “Monument of culture” protected by the law. The story of the monastery begins back in the 10th century when an unknown disciple of St Clement, the creator of the Cyrillic alphabet, settled in some of the granite rocks to in order to lead a solitary life. An inscription written on Cyrillic letters, the second oldest found in Macedonia, is noticed on the two marble columns from the ancient times, reused for the construction of the church. Between the 11th and 13th century the church was several times destroyed and restored. It received its today’s appearance mostly in 1861 and the fresco painting represents a variety of characters from 12th until the 14th century. Sisterhood of five nuns is taking care about keeping the spiritual life of the monastery. In silence and in prayer, they are drawing icons for the entire orthodox world and with a smile on their faces they are discovering the secrets and the legends about existence of the monastery to the curious visitors. 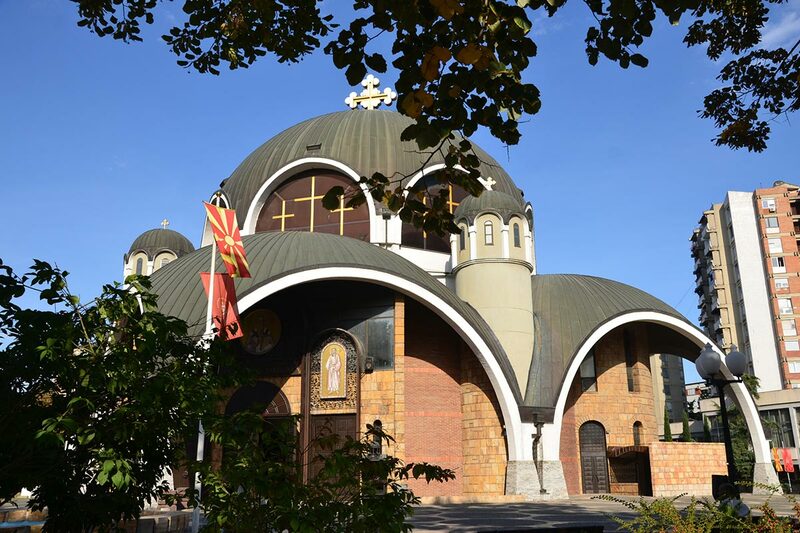 St. Demetrius church is an orthodox church located in the center of the city of Bitola. It is built in 1830 on the foundations of a former chapel that burned down, and with special approval according to the Sultan’s documents, it was rebuilt again. According to the Turkish law it was not allowed the new orthodox temple to be taller than the previous one. Built in only four months, with donations from the Christians of Bitola, this church rose from the ashes and became a place where all the believers could freely address God. The central altar is dedicated to St Demetrious, the southern one to the Annunciation and the northern one to St. Nicolas. The most impressive is the magnificent and most probably the biggest iconostasis on the Balkan Peninsula, made in gold plate in the middle of the XIX century and carved by the skilful hands of the woodcarving group of craftsman. Today, St Demetrius is the central church in Bitola where most of the weddings and christenings are taking place, as well as the major Christian holidays. 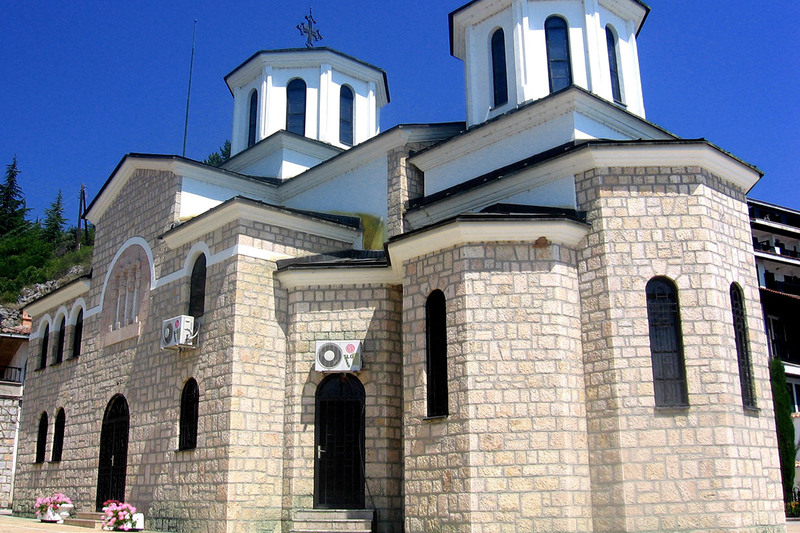 St. George church is a medieval Macedonian orthodox temple located in the village of Staro Nagorichani, in the environment of the city of Kumanovo. Its architecture and magnificent fresco painting, are giving it the epithet of a pearl among the Christian temples in the Balkan region. The church was founded in 1313 on the foundations of the original church dating from the 11th century and built by the byzantine emperor Roman IV Diogenes. The fresco painting is performed in the style of the Palaiologan Rennaissance from the 14th century and characterized by accented narration, subtlety and refined and modest style regarding the expression. One really important feature is the extension of the color spectrum by warmer shades like red and the use of white as a highlighter to increase the dimensionality of the detailed clothing. The church has preserved the original stone iconostasis and it is the only example in the country of iconography by using the fresco technique. 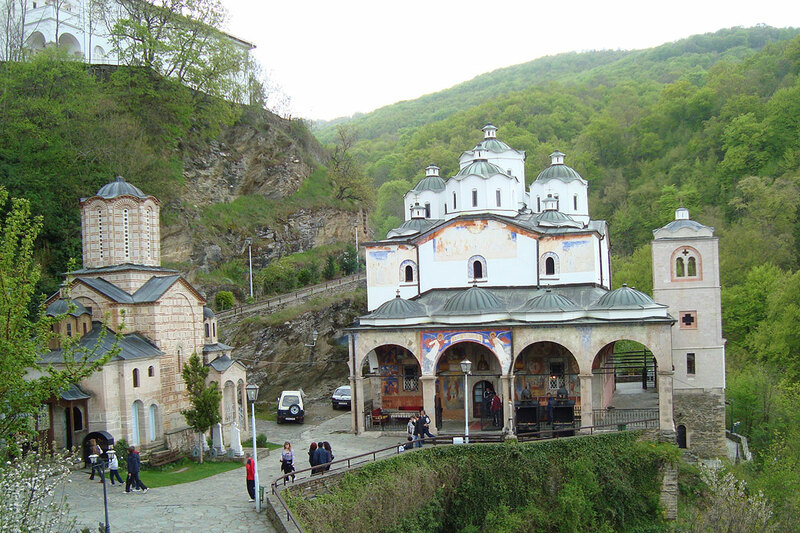 St. George the Victorious Monastery is a part of the St. John Bigorski Monastery and it is located in the village of Rajchica, 2km from the city of Debar in the western part of the country. The church is dedicated to St. George the Victorious, a great Christian who resisted the torture from the Romans and that is the reason why he is named Victorious and painted with crown on his head. Built in 1835 over the foundations of a church from the 16th century, this female monastery is one of the most remarkable in the country, situated on the scenic road that leads to the National Park of Mavrovo and overlooking the artificial Debar Lake. There are many visitors who are making a stop to enjoy the silence of the environment and the story of the sisterhood connected to the history of the monastery and their life devoted to God. 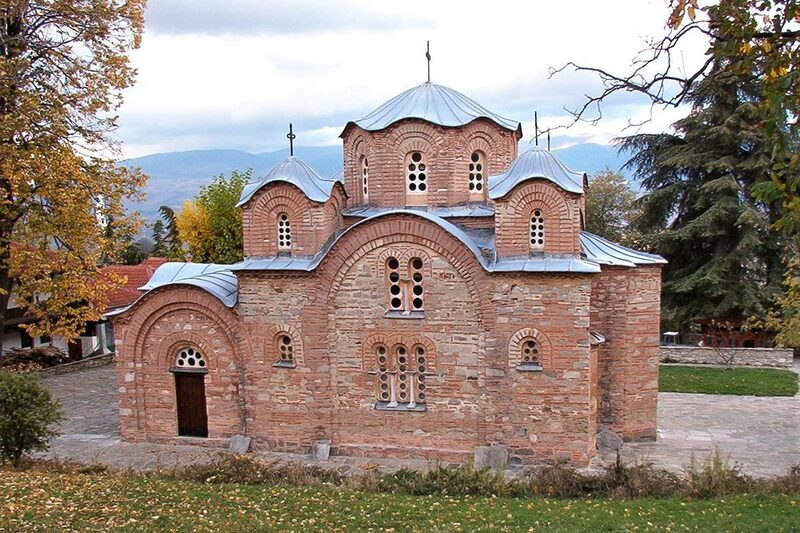 This is the only monastery in Macedonia where the sisterhood is making the orthodox crowns called “mitri”. The nuns can be proud with over 270 unique creations, adorned with pearls, zircons and crystals, for the entire Orthodox world, including the Ecumenical Patriarch. St. John Bigorski Monastery is one of the most beautiful monasteries in the Republic of Macedonia located in the breathtaking landscapes of the National Park of Mavrovo. The story of this monastery starts with the oldest miraculous icon with healing power, originating from the 11th century, dedicated to the name of St John the Baptist. The impressive architecture, especially the use of the “bigor”, meaning tuff stone, in its construction is the reason why is added “Bigorski” to the name of this sacred place. The first church was built in 1020 by the monk John. Unfortunately, it was destroyed several times by the Ottomans and the monastery we are visiting today was built in the end of the 18th century. One of its most valuable treasures is the iconostasis, created by Petre Filipovski-Garkata from the nearby village of Gari and Makarij Frckovski from the village of Galicnik. This impressive masterpiece, considered one of the finest examples of wood carved iconostasis, was made in five years, from 1830 to 1835. The carved scenes from the Old and the New Testament together with a remarkable decoration of symbols connected to the Christianity make this iconostasis a symbol of faith, salvation and victory. The priceless spiritual treasure is complemented with the miraculous relics from different saints, including a part from the Holy Cross. Today, there are about 20 monks who devoted their life to God and helping others. They are going to reveal with great pleasure, the history of this supreme beauty and their life in it. 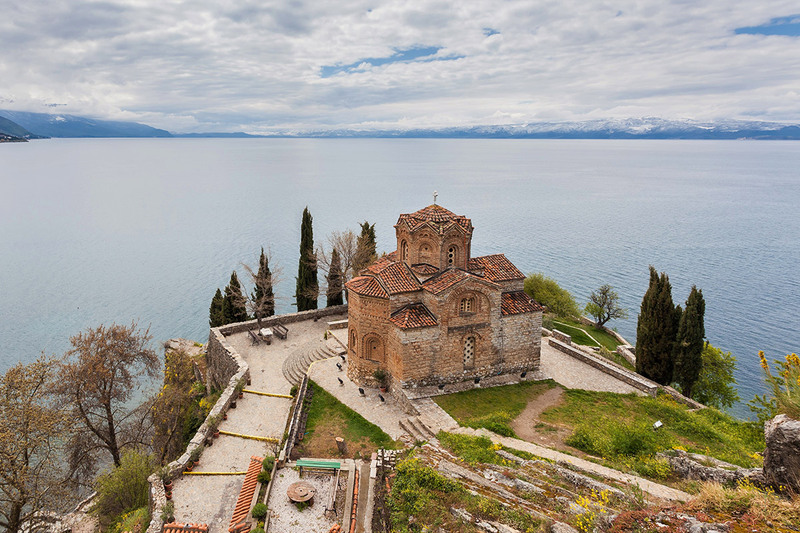 St. Naum Monastery is located by the shores of the Ohrid Lake, 29km from the city and only 1 km from the Albanian border. The original church dedicated to the Holy Archangels was built by St Naum in 900 AD, but for unknown reasons was destroyed. Today, the church that is having the name of one of the famous disciples of the great missionaries Cyril and Methodius, originates from the 17th century. The inscriptions on the two marble columns are the oldest epigraphic evidence of the Slavic literacy. The 3th of July the orthodox world is celebrating the name of St Naum. Many visitors are going to the monastery in order to pray and those who believe to hear the heartbeat of the saint by pressing an ear to his grave inside the small chapel. St Naum is famous among the locals with his miracles painted on the walls of the church. The entire monastic complex is complemented by the magnificent beauty of the peacocks and these birds symbolizing the immortality are the symbol of the monastery. Plaoshnik is an archaeological complex, the most significant and sacred place for Macedonia and whole Slavic world in historical, cultural and spiritual sense, located in the old part of the city of Ohrid. There are remains from different periods, from the Age of Bronze to the middle Ages. The remarkable epoch of the Early Christianity left its traces in form of an Christian basilicas with a magnificent floor mosaics revealing the secrets of the spiritual life of the population. At the end of the 9th century the first Slavic Archbishop and creator of the Cyrillic alphabet, St Clement, came to this area where he started a strong educational and literary activity. He opened the first Slavic University and from there the old Slavic culture was spread. He also built a church dedicated to the holy doctor St Panteleimon. The end of the 15th century, his church was demolished down to its foundations by the Ottomans and a mosque was built on its place. In 1942 and 1943, the first archaeological excavations started and the remains of the old church of St Clement were discovered together with his grave. On the occasion of the 2000 years of Christianity, the initiative for reconstructing the St Clement’s church was accepted as well as the intention of archaeological excavations, conservation and restoration of the entire complex of Plaoshnik. In August 2002, the consecration of the new church was made. Today, there is an ongoing project for reconstructing the first Slavic University where the seat of the Faculty for Theology will be transferred. St. Panteleimon church is located in the village of Gorno Nerezi, near the capital of the country, the city of Skopje. The church is one of the oldest and most impressive monuments of culture, built and painted in 1164 under the patronage of the Byzantine Prince Alexios Komnenos whose name is made immortal by being carved in marble, right above the entrance in the church. It was dedicated to St. Panteleimon, the protector of health. Many visitors are admiring the exceptional architecture that consists in irregular stone blocks and brick embedded in thick layers of mortar as well as the five domes that make this church a real masterpiece. The real cultural treasure is hiding inside the walls of the church, the magnificent fresco painting, famous for the dramatic facial expression and emotions of the figures, not commonly found in Byzantine art. Among the best achievements is the fresco Lamentation of Christ, considered by the art historians as a masterpiece associated with the renaissance at a much earlier stage than the blossoming of the Italian Renaissance with Giotto. St. Spas (Savior) church is one of the most remarkable orthodox monuments of culture in the city of Skopje, located in the Old Bazaar, east of Kale Fortress. The church is dedicated to the Ascension of Jesus, huge religious holiday always celebrated 40 days after the Easter holiday. During the period of the Ottoman oppression, according to the Turkish law, it was not allowed the new orthodox temple to be taller than the minaret of the mosque. In order to achieve that, was to dig the church into the ground and at the same time respect the law. Today’s appearance of the church is from the 19th century. The most impressive symbol of this monument is the wood carved iconostasis created by the group of Petre Filipovski-Garkata and Makarij Frckovski. Through a real mosaic of leaves, flowers, animals and geometric ornaments is hiding the story of the sacred writings of the Christianity. The different styles incorporated in the iconostasis, such as the renaissance, baroque, rococo and motifs from the eastern Islamic Art, emphasize its high artistic quality and mastery of the performance, including this masterpiece among the top achievements of the wood carving in general. 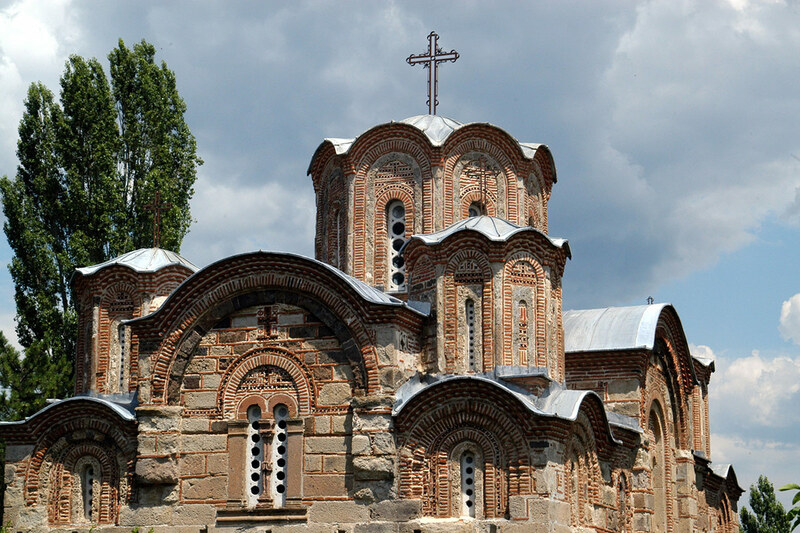 St. Sophia church is located in the old part of the city of Ohrid. The Cathedral is dedicated to the Holy Wisdom, built on the foundations of an early Christian basilica and it was renovated and adorned with frescos in the time of the archbishop Leo in the period between 1037 and 1056. 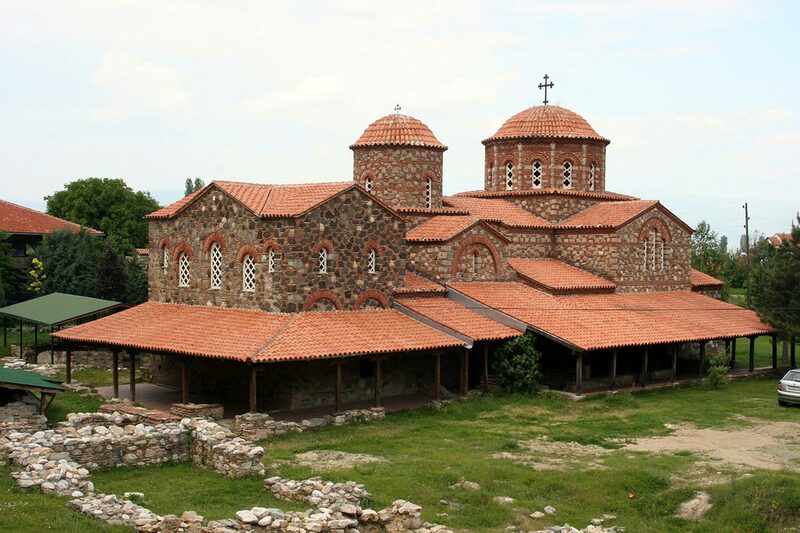 The cathedral was the seat of the Ohrid Archbishopric for several centuries and its ecclesiastical authority covered a vast territory, from the Danube to the Albanian coast and the Bay of Thessalonica. In the second half of the 15th century, St Sophia was transformed into a mosque when most of the frescos were whitewashed. In 1912, it was transformed back into an Orthodox Church. The portraits of the six Roman popes, the barefoot Christ as well as the cycle of the Forty Martyrs of Sebaste are some of the rarities that make St Sophia a unique gallery of paintings from the period between the 11th and 14th century. Its magnificent architecture is one of the most beautiful buildings in the Byzantine architecture in general. Today, during the famous Ohrid Summer Festival, the church is used for classical concerts due to the exceptional quality of its acoustic. 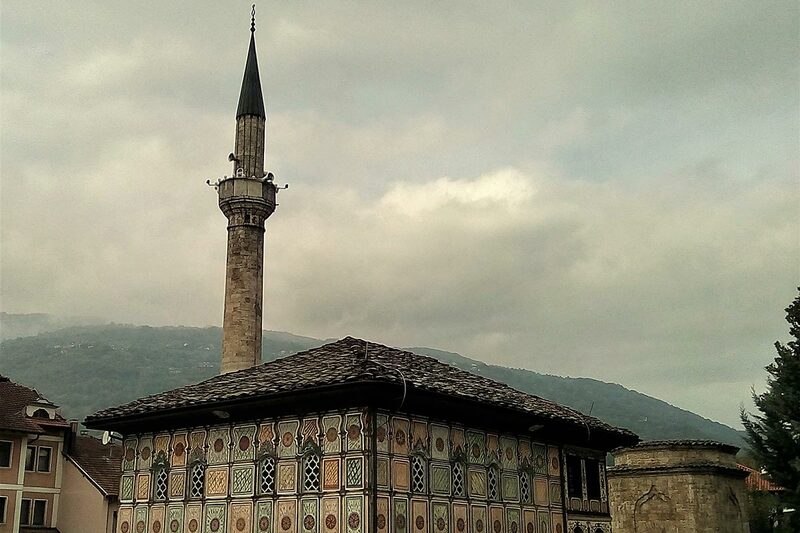 The Colorful Mosque is the cultural symbol of Tetovo, originally built in 1438 and renovated in 1833. The mosque represents symbiosis between the baroque and the Ottoman neoclassical style. The distinguishing feature of this monument of culture is the painted decorations, the geometric and floral ornamentation and the representation of the most important cities for the Islam religion, particularly the illustration of Mecca, unique in southeast Europe. 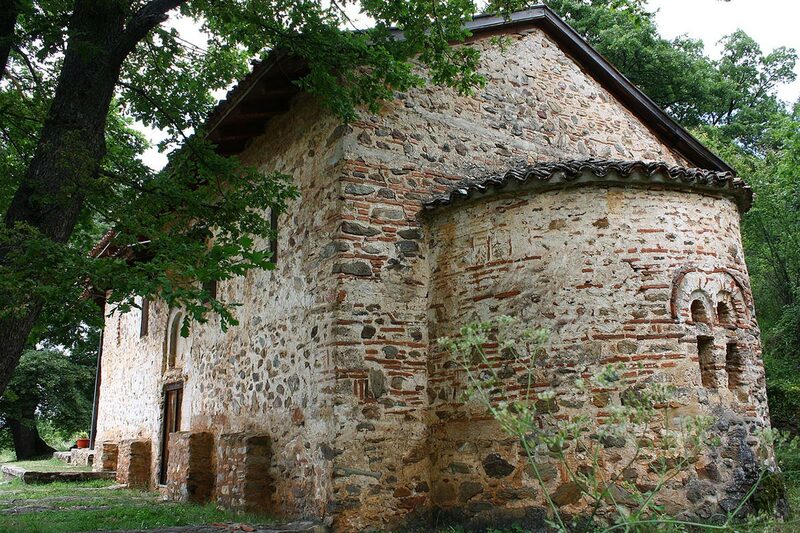 The Holy Mother of God Peribleptos church is located in the old part of the city of Ohrid, near the Upper Gate. It is dedicated to the Holy Mother Peribleptos, meaning “conspicuous” or “who watches over all”. 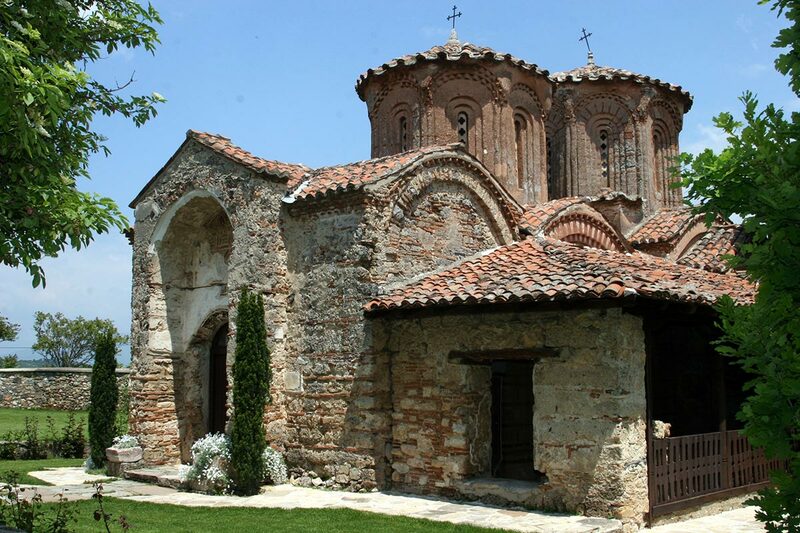 The extraordinary typical byzantine architecture and the stunning wall paintings make this church, which was built in 1295 by the Byzantine military commander Progon Zgur, one of the most significant medieval monuments in Macedonia. The fresco painting in this church represents some of the first works of the most prestigious medieval painters Michael and Eutychios. Their dramatic expressiveness was the basis of the new trend in Byzantine art from this epoch, called “The Renaissance of the Paleologues.” On the walls of this church, with an extraordinary vitality, power and obvious emotions, they have painted scenes from the life of the Mother of God and Jesus Christ. After the destruction of the of the St Clemens’s, the relics of St Clement were transferred here and ever since the citizens of Ohrid named this church St. Clement. This is one of the oldest and most beautiful churches in the city, explored because of its extraordinary beauty that reveals the secret of a unique byzantine world. 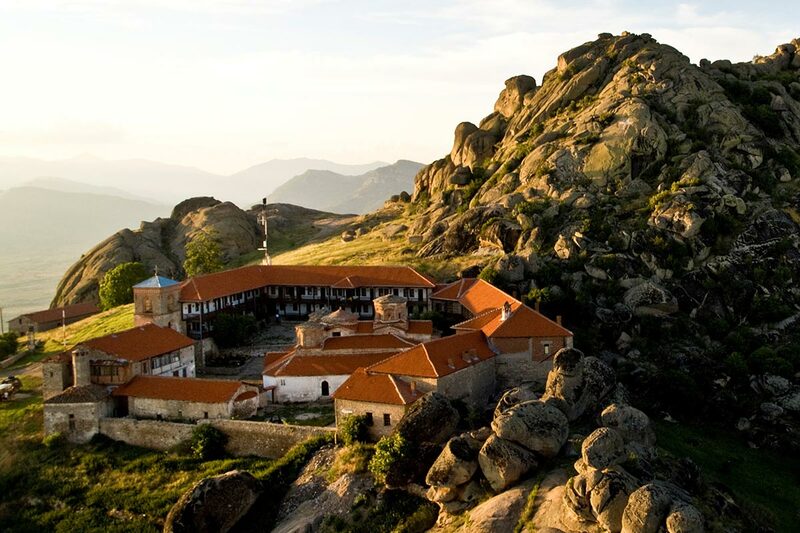 Treskavec Monastery is located 8km north of the city of Prilep. Built on the rocky Mount Zlatovrv, meaning “Golden Peak”, the entire monastic complex offers you a splendid view over the Pelagonija plain. The only monk left will reveal you the secrets hidden in every stone of the complex. The remains discovered following the archaeological excavations witness that the first Christian church on this site dated around 5th or 6th century, but the most of the architecture visible today is from the end of the 12th and the beginning of the 13th century. The church is dedicated to the Domition of the Virgin. The history of the monastery was changing as the centuries were passing by. The fresco painting is a symbol of great culture, showing the incredible byzantine art up to the 19th century. The importance of the complex is emphasized by the fact that almost all Balkan rules and dignitaries from the middle Ages had great respect for the monastery. It was noted that during the active monastic life in the monastery, the life of the monks is nothing less than the life of those living on Mount Sinai or the Holy Mount of Athos. Even during the Ottoman occupation, a decree from the Sultan prohibited tax and any damage connected to the monastery. Today, Treskavec Monastery is magnificent pilgrimage site and whether you want and adventure to climb the steep mountain path or you prefer to get to the monastery by a vehicle, you can be sure that its legends, traditions, historical facts and silence will remain forever in your memories. 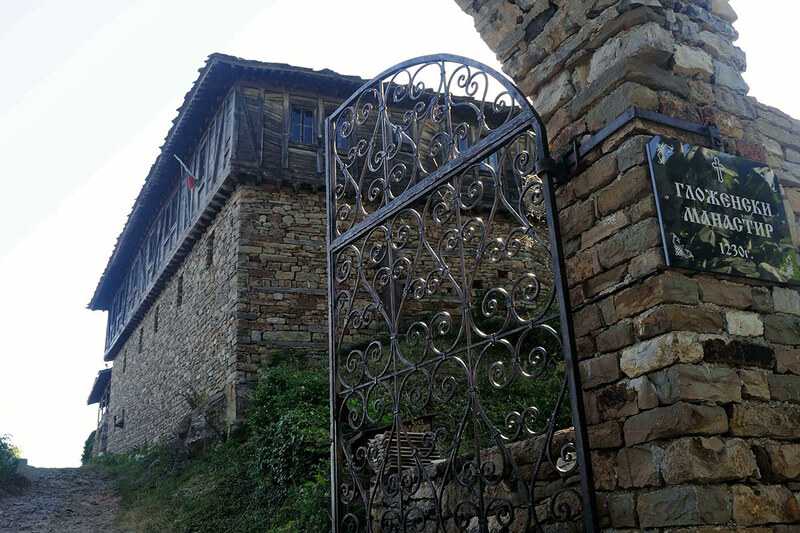 Veljusa Monastery is located in the village having the same name as the monastery, 7km from the city of Strumica. It is one of the most valuable symbols of the orthodoxy in the Republic of Macedonia. The exceptional church is dedicated to the Holy Mother of God Eleusa, meaning “showing mercy”. It abounds with remarkable frescos originating from two periods, from the foundation of the church in 1080 and from the 12th century as well. Among them, the one of a kind fresco is showing Jesus Christ Emanuel as a twelve-year-old child. 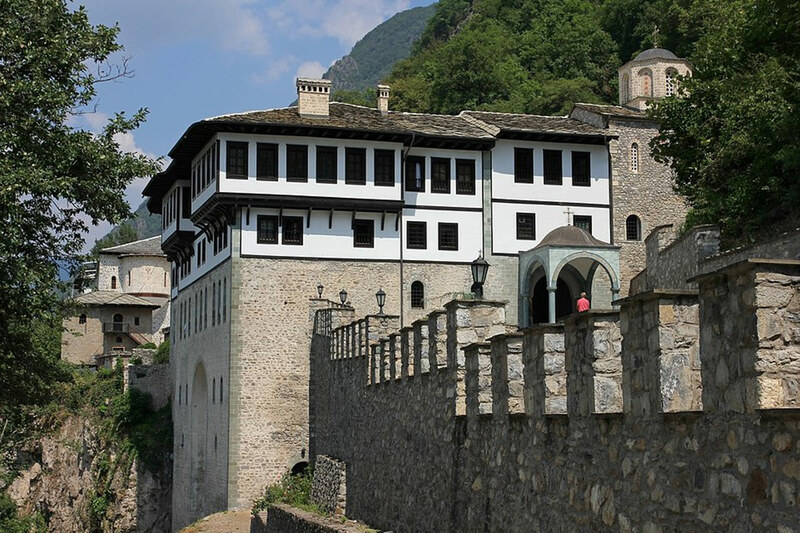 Many centuries of existence of the monastery, make it one of the most significant ecclesiastical and cultural centers, not only in the country, but also on the Balkans. Once, it used to be a home of monks, but since 1996 and with the renewal of the monastic life it became a female monastery. Today, there is a sisterhood of around ten nuns whose day starts and ends with a prayer. Their communication is minimal, but with the host sister responsible for the visitors you are going to feel more than welcome in this holy quiet place situated in an incredible scenic area. The sisterhood is responsible for the maintenance of the Macedonian Orthodox Church Website. Another feature that distinguishes this monastery from the rest in the country, is the secret hidden inside the seamstress workshop where the nuns are making the hand-decorated cassocks for the Orthodox clergy. 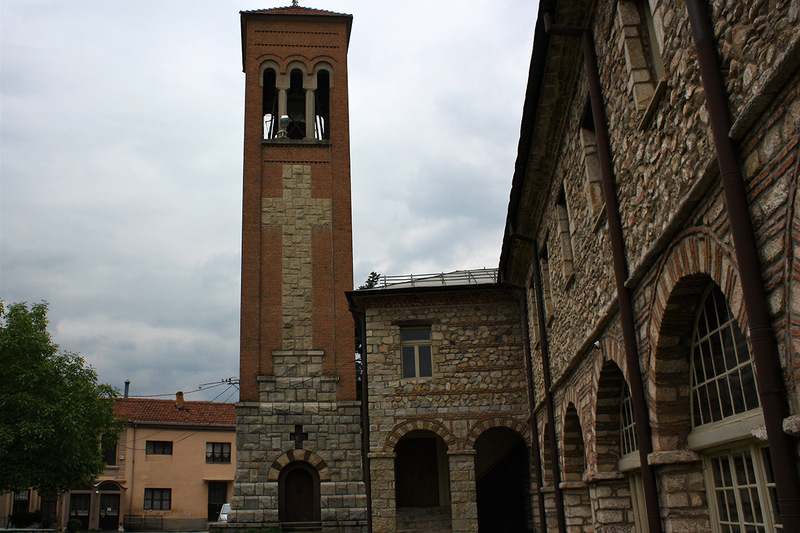 Vodocha Monastery is located in the village of Vodocha, 4km from the city of Strumica. St. Leontius church complex is composed of three churches, East, West and Middle. The church was built on the foundations of an early Christian basilica originating from the 5th and 6th century and the marble decorative plastic is preserved as a witness describing this important epoch of the Christianity. There are three phases established concerning the fresco painting in the interior, precisely the 10th, 11th and 12th century. Nearby the church are found architectural remains, a monastery complex, dining room, economic facilities, two baths and Christian necropolis with more layers. Over 1000 graves with jewelry and ceramics dating from 14th to 19th century were discovered in the monastery complex due to the archaeological excavations. The entire complex is having a high artistic qualities and visible traces from the ancient artistic tradition. The resistance to the byzantine style and the artistic movements from Constantinople and Thessalonica, as well as the willingness to disobey the Byzantine art principles, are also present in the way of presenting the spirituality through the fresco painting in this monastery. With the renewal of the monastic life in 1995, the monks are dedicating to the blossoming of the byzantine iconography, the church singing and translation activities.